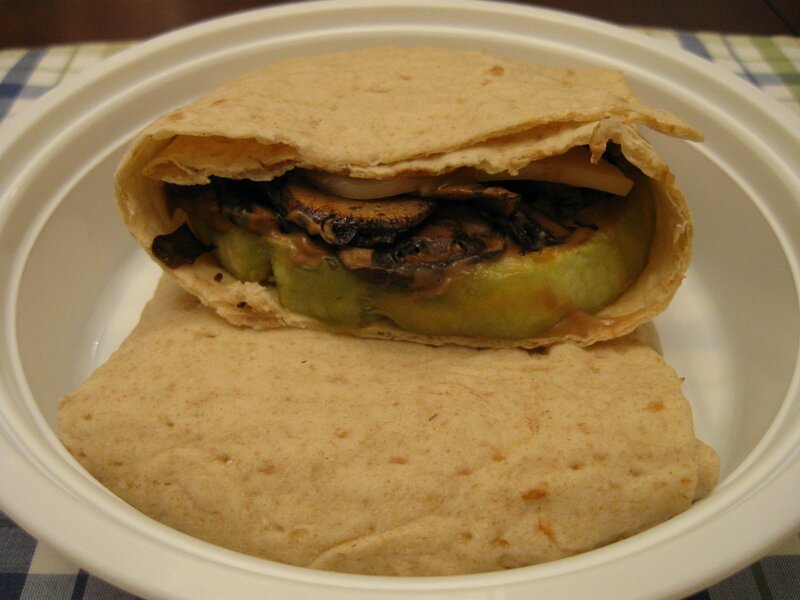 Sandwiches and wraps are ideal when you need a meal that is portable and doesn’t require a microwave. But I am easily bored by traditional sandwiches, so I decided to try something a little different. My sandwich wrap was a Joseph’s brand lavash. 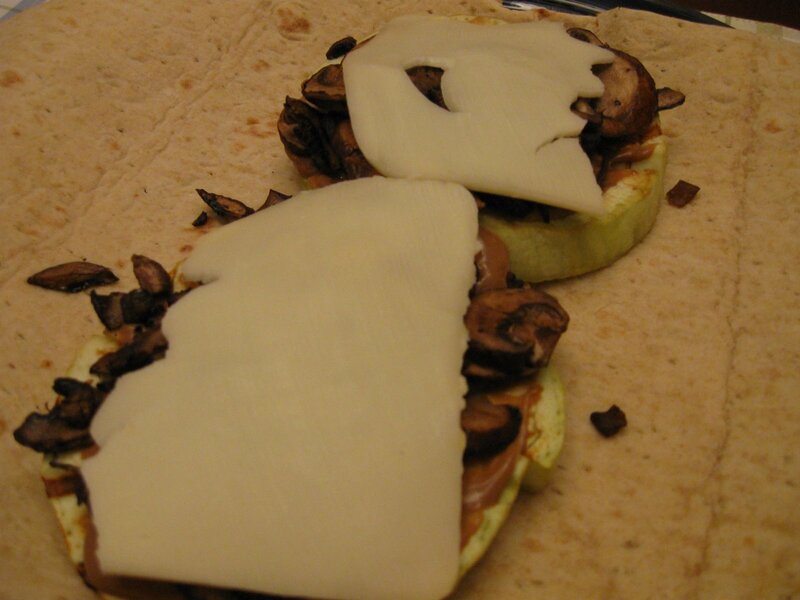 I took eggplant slices, and grilled them on the George Foreman and placed them on the wrap. Then I mixed 1 T reduced calorie mayonnaise and 1 T balsamic vinegar to make a sauce, which I spread on the eggplant slices. I added some sauteed mushrooms that I had handy, and topped it with a slice of mozzarella cheese. Then I rolled it up, and put it in a container to go! Since the wrap was a bit delicate, I wanted to protect it during my travels. The verdict: The balsamic vinegar flavor was dominant, but luckily it didn’t make the sandwich soggy. It was a very filling meal, but would have been so much better if it was served warm. I’m going to make that tonight and bring it for lunch tomorrow!How thick/thin did you slice the eggplant before grilling on the G. Foreman?